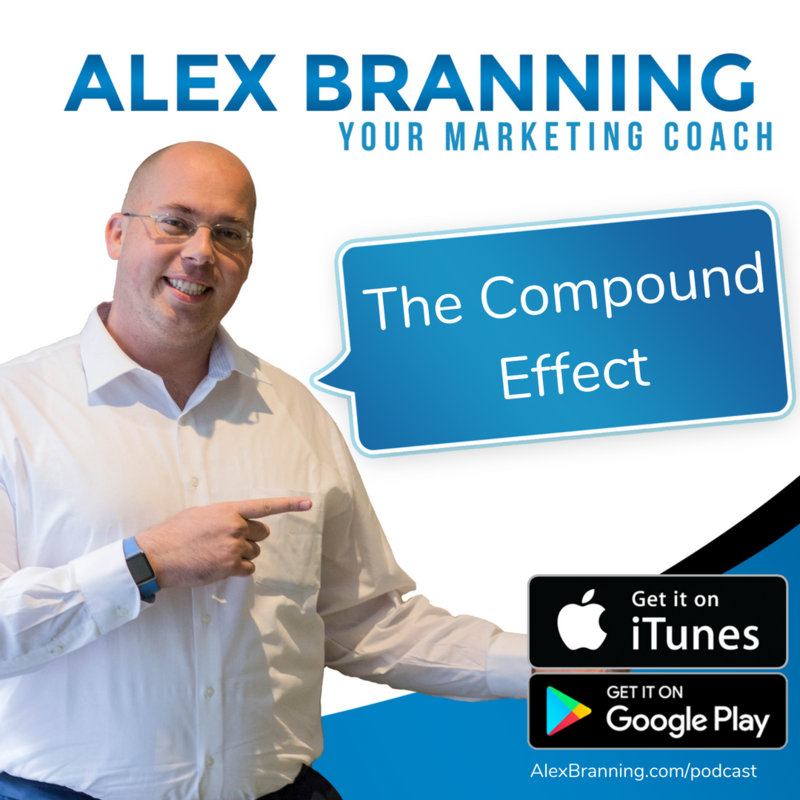 Hey, what’s going on you guys, Alex Branning here, this is episode five of what I am calling season two of my podcast and today I want to talk about the compound effect. 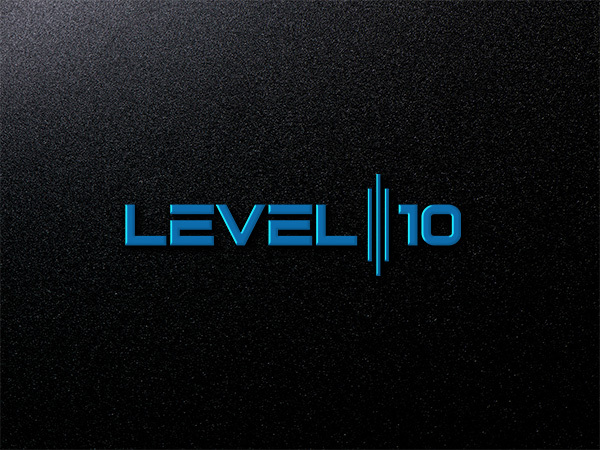 We’re going to go over not just marketing but also other areas of your life where the compound effect could be either really, really hurting you or setting you up for success. So the compound effect is one of those crazy things that I heard about and I want to give you an example of how the compound effect can be explained. So there was a really cool example that was given to me where they said, “Okay, if you were given the choice, would you take one penny that would double for the next 30 days?” So that one cent tomorrow, would be worth two cents. The day after it would be worth two cents. By day 20, they would have, I believe the number is around $200,000. So they’re having $200,000. But now the guy who took $3 million on day one, he’s still got the $3 million, but by the end of that 30 days, the person who chose the penny at the very beginning would have over $10 million. That’s a really extreme, but a really cool way to look at the compound effect. Small changes add up. They multiply and they create something really special. I want to talk about the compound effect first in our marketing. And then I’m going to talk about other areas of success. I got a message the other day from somebody who reached out to hire the Branning Group to populate his live event. And he said, “Alex, I see you everywhere.” And he was like, you know, everywhere I go on Facebook, on Instagram, my messenger, websites, my email, he was like, you just always show up. And there’s a law of familiarity that I introduced early in my podcast. You can go back to some of my first episodes to learn more about that. But the law of familiarity states that the more familiar you are with somebody, the more that you trust them.And as a marketer we can buy familiarity, by just continuing to show up. Out here in Redding, California where I am, there’s a mortgage lender, named Benji, and his tagline, he calls himself only one Benji. And if you’re on the radio, you hear his radio ads. If you’re sitting in a movie theater, if you’re watching local TV, you see his ads. He is literally everywhere. He has billboards. I mean he’s all over the place. I don’t see him online, but everywhere I go driving around town, there’s only one Benji. And what he’s doing is he’s putting himself into our psyche as only one Benji. We know he’s a lender. He’s becoming familiar to us and whether we admit it or not, the more we see him, the more we begin to trust him.We start thinking that he’s credible because we start seeing him everywhere and we look at him as one of the major players in the game because he’s everywhere, right? He’s very familiar to us. That’s the kind of effect that your marketing has on your audience. The more that they see you, the more they hear about you, the more they can learn about what is that you do, the more they trust you and begin to, you know, start to think of you as the expert, as the authority. You know, there’s a reason why, you know, when it comes to reaching out to cold traffic, that is people who have never heard of me before, and warm traffic, which is people who have already heard about me and know who I am. I spend just as much talking to my warm traffic, even though that audience is relatively small. I have a social networking audience of give or take 10,000, but the number of people who have not heard of me is much larger than 10,000, but I still spend just as much talking to the people that are already familiar with me as those that have never met me before, and the reason I do that is because I want the people that are in my network to continue to see my face, hear my voice, and learn about how I can help them. I want to become familiar and trustworthy. So I say that to say this. If you’re looking at your marketing right now and going, okay, I don’t know if this is working. I don’t know what I should be doing. How should I be spending my money? I want you to think about the compound effect of people who are seeing your face and hearing your message over and over again and then when that suddenly stops, right? What happens is it might be a month or two before they start to really think about it, but eventually it will go, wait a minute, is that person still in business? If they haven’t seen your message. It’s so important to continue to stay in front of the people that are already familiar with you so you can let them know that you’re still in businessand that’s why marketing consistently and I had a whole podcast episode on never stop marketing and one of the biggest things is about that compound effect. You know, the more that I advertise to my warm audience, the more referrals and the more jobs that I get from my warm audience because I keep showing up, I stay in the conversation. They see me all the time. Now, I’m not annoying, at least I hope not. I keep putting out new messages. I have new videos, new things that I put in front of them. I just want them to continue to see me and it’s all about that compound effect. Now let’s talk about outside of marketing. Let’s talk about what kind of effect the compound effect could have on your life. So again, the compound effect is all about something small done consistently to create something really special. I remember when I sat down to write my first book, I had this in my mind that I needed to sit down and dedicate an entire day to writing a book and I just couldn’t do it. I just could not set aside that chunk of time and I got frustrated and I had this book inside of me and I knew that I have something special to say in a message to get out, but I just couldn’t sit down and take an entire day. And then one of the guys on my team said, “You know, why don’t you just, instead of worrying about an entire day, why don’t you just spend 20 minutes a day for the next 30 days and get the book done?” Right? And so in other words, what he’s saying is just take a chunk of time out of your lunch break and just write something for your book. And wouldn’t you know it before the month was over, I had my book done, I had everything done, written out. I even created special worksheets and everything because that was the compound effect. It was 20 minutes here, 20 minutes there. Soon I picked up motivation and momentum and I could see things come together and I got new ideas that were sparked in that 20 minutes and I would write it down for the next day. And that 20 minutes that I spent … it worked, it was really exciting to see it all come together and if it wasn’t for me using that compound effect formula of doing something small over and over again,I never would have gotten my book out. And that book has really propelled my business in ways that I did not think possible. Another way that the compound effect can really harm you is this. And this was an example from Darren Hardy’s book. He talked about how two friends, one named, I believe it was like Andy and the other one was Daniel. So let’s just take those names. So Andy, in his morning routine, him and Daniel were doing the exact same thing. Kind of the same morning routine where they’d wake up, eat cereal, drinks and coffee and then head into the office. So, that was their whole morning routine. They ate some breakfast, drink some coffee, you know, got ready for the day and left. Sounds pretty normal. Right? Well, one of them, Daniel decided to add into that routine, a 10 minute walk every day or 10 minutes of some sort of aerobic exercise and wouldn’t you know it? Over time, Daniel started to feel better. He started to eat differently. He started to lose weight. Now it took a while, but then Andy looked and said, “Dude, what are you doing man? What are you doing different? I don’t get it.” He said, you know, “I just spent 10 minutes a day.” What was it? It was that compound effect. It was the tortoise and the hare effect of, you know, Daniel just kept going, kept slogging along, kept doing the thing, kept taking that 10 minutes, just 10 minutes in the morning to do that aerobic exercises. And what it did over time is it started to change not only the way that he looked at food, but it changed the way that he looked at his morning routine. It changed the way that he actually started spending his evenings. It had a big effect throughout the rest of his life. Another example of a compound effect is what we put into our brains. What I mean by that is the media, the things that you listen to. I remember when I used to sit down with my dad and I was young, it was like 17, 18 years old, and we would sit down together and watch the news. Now, there’s nothing wrong with being up to date on the news and want to stay with what’s going on. But I don’t know about you, but for me, seeing the news put me in a negative state of mind, just seeing what was going on. They always talk about the negative. They always talk about, you know, the world is ending, it feels like, right, or this person’s the enemy and it’s just, it’s negative. When I started to cut out the news, that was just one small change. All I did was I changed from watching the news to sitting with my dad and we would either watch sports or we would read together. So, most of it was watching sports, so that wasn’t really like a big success shift, right? We weren’t doing personal development. We would change from watching the news to watching sports, but getting the news out of my life and out of my psyche really started to have an effect on me the way I saw the world. And it changed even how I slept at night because then I didn’t have those things going on in my head. So it was that compound effect of changing my nightly routine. No longer watching the news, just making that one small change. And it had a big effect, not only on my psyche and my mindset, but also the way I slept. And that just bled into all the areas of my life, whether I recognized it or not. So I want you to look at the compound effect of your decisions and every, everything that we do we should look at it and go, is this serving me?Now, if most of the things that you’re doing right now are serving you. We don’t need to change everything that we’re doing so that we get to where we are. A lot of times, it’s those small things that we change that has a big effect over time. You know, when I started listening to podcasts on a regular basis about two years ago, just listening to a podcast a week or two podcasts a week, created a really big shift in my mindset because I had these success principles being drilled into me by the people that I was listening to. And it created a compound effect over time because when I would listen, like for example, I just finished listening to a Ray Edwards podcast about why you should choose a mentor and he shared stories about how what mentors have done to him and it really, it got me thinking, number one, it was good just to hear Ray, I love Ray. But then also it got me thinking about how am I showing up as a coach and a mentor to my students. It got me thinking about who I wanted to bring on to my team as a mentor for myself. It got me thinking about the way I am as a leader to the people on the Branning Group team and what I can do better to help support and serve them, not only with the work that they do for me, but also their other endeavors that they’re pursuing. That’s what that one small thing did. I added listening to a podcast to my regular routine and now it’s just causing me, because of what I’m hearing and I’m letting it digest into my psyche and my mind and it spills out into so many different areas of my life.I’m going to recommend a book to you. 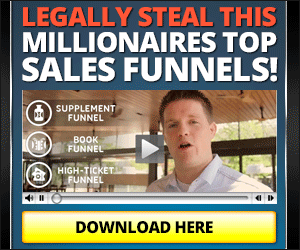 It’s called The Compound Effect by Darren Hardy, and he really talks a lot about this. Gives a lot of really cool examples. It’s a really short book. It’s small. I sat down and read it in one sitting. It’s kind of long. It took me about two hours, but I highly recommend grabbing it and I’ll post the link on my website, go to AlexBranning.com/podcast and look for this episode; it’s called the Compound Effect. You’ll see it. 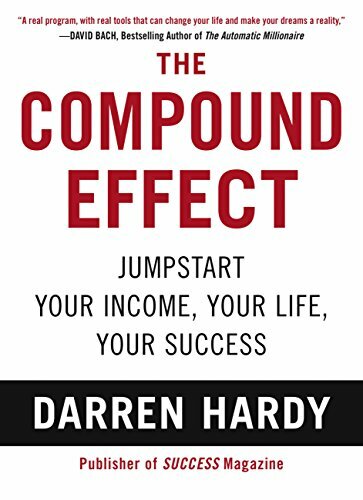 I’ll have a link there to Darren Hardy’s book, the Compound Effect, so that you can jot that down, grab it, grab it off of Amazon, download it off of Audible, however you want to digest the content and put it to work. And then evaluate. He’s got a lot of cool resources too. I recommend you grab them, but really evaluate some of the things that you’re doing and say, is this serving me?You know, for those of you following me on my personal Facebook page, I am talking a lot about my detox journey. My wife and I are on this 14 day detox and you know, there’s a lot of things that it does. It’s very rigid. You know, what we can or can’t eat. It’s very rigid when we eat. I mean, it’s just got a lot of boundaries. And one of the things that my wife and I are going to be talking about as this detox cleanse comes to a close, is what do we want to keep from that detox in our life? Like for example, in the detox cleanse, you can’t eat after 7:00 PM. I think that’s something I’m going to want to keep going, even though we’re not doing that detox cleanse anymore because I found that, you know, when I don’t eat at night now I’m not as sluggish, and it just has a really good effect on the rest of my evening. And then I just feel better. I don’t feel lethargic and groggy. So, it’s been really good. So I hope this encouraged you. I want nothing but the best for you and I want you to achieve the ultimate success that you have for your life. Thank you so much for listening to my podcast. And if you could do me a favor and drop a review on whatever you’re listening to, whether you’re on Spotify, iTunes, or wherever, if you would just drop a review. I love them. I read them, and they mean the world to me. Have a great day.